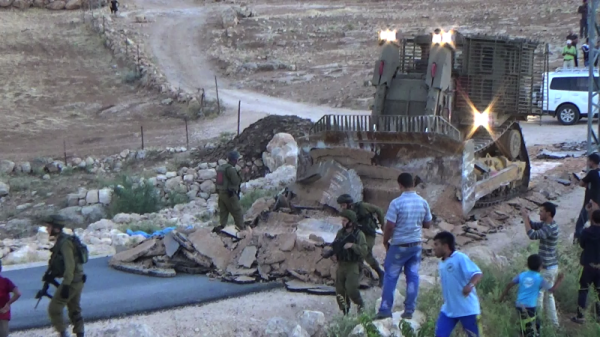 On June 18th, the Israeli army, along with border police officers and DCO (District Coordination Office) officers entered in the Palestinian village of Khallet Forem, in South Hebron Hills, and demolished seven houses, a bathroom, and a shelter. No demolition orders were delivered for these structures. 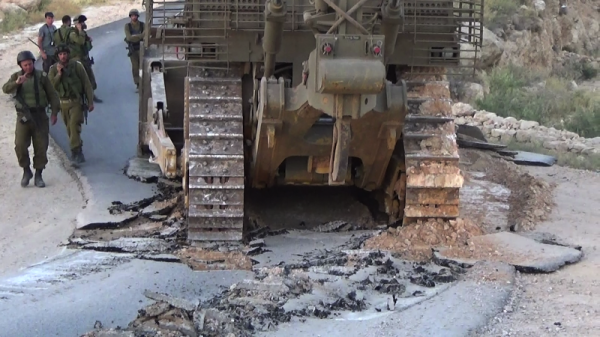 According to Palestinian witnesses, a woman was injured by the soldiers during the operation. The seven houses, the shelter, and the bathroom were owned by the Abu Dahar family. These demolitions involved at least 26 people, 12 of them are children. 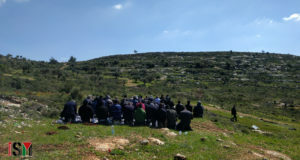 In the same day, Israeli forces demolished the main road of Ar Rifa’Iyya Ad Deirat and built a roadblock in order to prevent the access from that road to the bypass road 356. According to PHROC (The Palestinian Human Rights Organizations Council), the recent wave of demolitions, arrests, attacks, killings, and total closure of large parts of the West Bank following the disappearance of three Israeli settlers is a form of collective punishment against the Palestinian people. This is in direct violation of Article 33 of the Fourth Geneva Convention that forbid reprisals against protected persons and their property, as well as collective punishment.